Tierra del Sol Housing Corporation is proud to be part of the NeighborhoodLIFT program in collaboration with Wells Fargo and NeighborWorks® America. Discover the possibilities of homeownership and find out if it’s right for you! 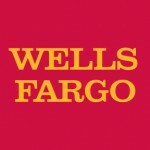 Visit Wells Fargo’s LIFT Web Page to REGISTER for the El Paso NeighborhoodLIFT Launch Event. Please register in advance for this event. Walk-ins are welcome, but only registered customers are assured of meeting with a professional to determine eligibility for a NeighborhoodLIFT reservation of up to $7,500. Provides homebuyer education that will prepare you for finding and financing a home and for managing the financial responsibilities of homeownership. Borrowers’ annual income in combination with household size must be at or below the income limits set for the program in El Paso. A complete list of participating partner lenders is available here. 1. Located in El Paso County. Note: No closings may take place before January 23. Good News! Limited NeighborhoodLIFT down payment assistance funds may be available. 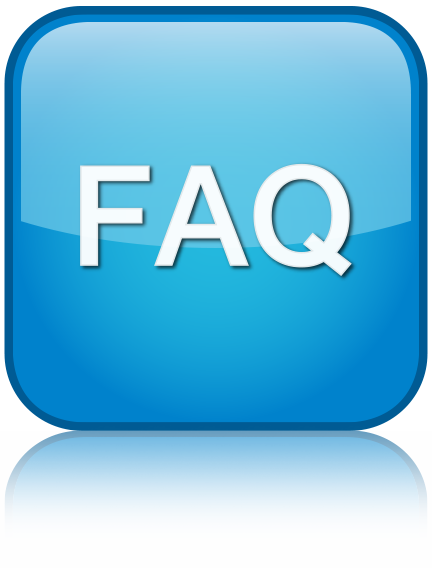 If you have additional questions, visit our FAQ page. To start the application process for NeighborhoodLIFT® down payment assistance, you will need to make an appointment with our partner, Affordable Homes of South Texas (AHSTI), to assess your eligibility for the program. You must COMPLETE your eligibility determination session 30 calendar days prior to your closing date. Failure to do so could result in a delay of closing! Please read and follow the instructions below. 1. To begin the NeighborhoodLIFT application process, you must first create an account. 3. Once you have completed the initial steps, you will receive an email from AHSTI in order to authenticate your account. a) Within the email click on the “Confirm Your Account” hyperlink. 4. To log in to your account, click here. 5. Once you are logged in, select the “LIFT Quiz” button in the banner at the top of the screen. a) Preapproval letter for a first mortgage from a NeighborhoodLIFT® approved lender. ***Don’t have a scanner? It’s easy! Use your smartphone to log in to your account and take pictures of your documents from your phone’s camera to upload them! 7. If you have not already completed Home Buyer Education through an approved provider, now is a great time to sign up! Create an account or sign in to sign up for homebuyer education. 8. Interested in taking Home Buyer Education as an online course you can complete on your own time and at your own pace? Click on the “Training Center” tab at the top of the screen in your online account. Scroll to the bottom of the page and click “View Online Classes.” Once you have clicked that button, you will be taken to another page. On that page, scroll down to the section titled “Home Buyer Education: America’s Premier Online Home Buyer Education” class. Now you will be able to sign up for your homebuyer education course. Click “Register Now” to register and pay for your class. ***Remember, a completed Homebuyer Education Certificate from an approved provider is required prior to closing on your home! 9. Once AHSTI has reviewed and approved the documents you uploaded, an email will be sent to you from AHSTI letting you know that it is time to schedule your Eligibility Determination Session. When you receive that email, go to the Training Center and proceed to the “My Appointments” section. You must COMPLETE your eligibility determination session 30 calendar days prior to your closing date. Failure to do so could result in a delay of closing! ***Please note, this appointment will not appear unless you submitted the appropriate documentation. Once AHSTI reviews and approves this documentation, you will be able to schedule this appointment. AHSTI will review your submissions within 48 business hours. 10. After scheduling your EDS appointment, you will be sent an email from AHSTI confirming the date, time and location of your EDS appointment. In the email will included details of the documents you should upload at least 72 hours prior to your appointment. You can upload these documents via the My Documents tab at the top of your online account (remember, you can log into your account via your smart phone or tablet and use your device’s camera to take pictures of your required documents if you don’t have access to a scanner). Click here to see a list of the required documents. If you do not upload these documents 72 hours prior to your appointment, your appointment will be cancelled. Be sure to bring copies of all of the documents you upload to your Eligibility Determination Session. At your EDS appointment, AHSTI will determine your eligibility to participate in the NeighborhoodLIFT® program. If your NeighborhoodLIFT® borrower contribution was not verified at your EDS appointment, you must submit the appropriate documentation to AHSTI by logging into your account here and uploading them via the My Documents section 21 calendar days prior to the closing date listed on your purchase and sales agreement. Remember, you can always log in on your smart phone or tablet and use your device’s camera to take a picture of your documents and upload them to us that way! Failure to submit this documentation on time will result in a delayed closing on your home.